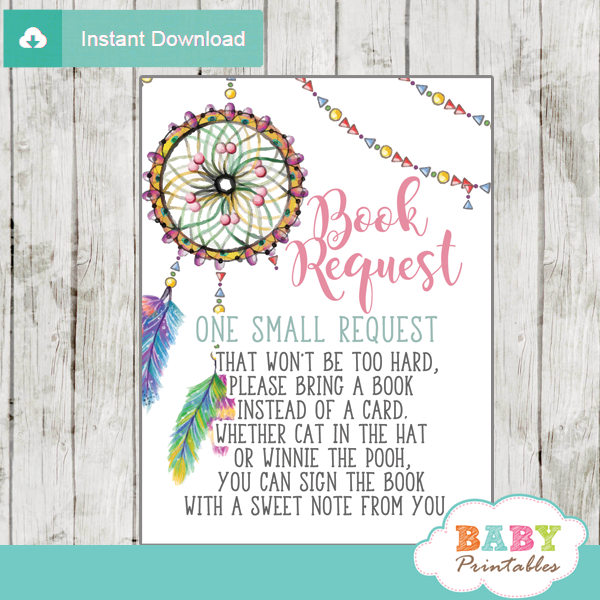 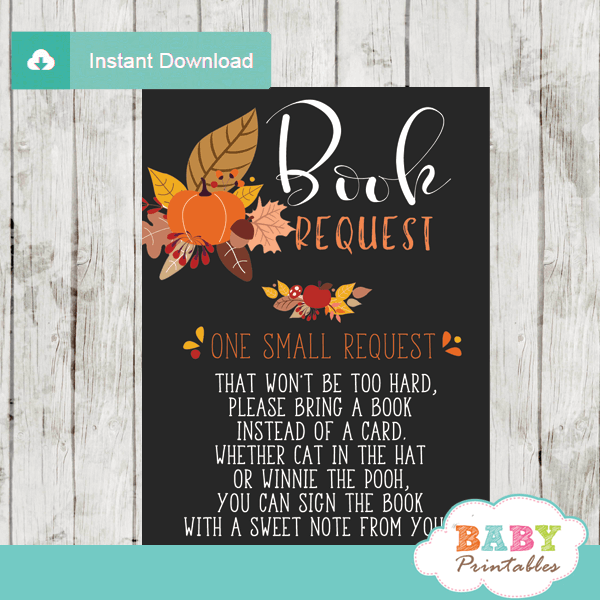 Autumn book request cards perfect for a baby boy or girl fall baby shower theme. 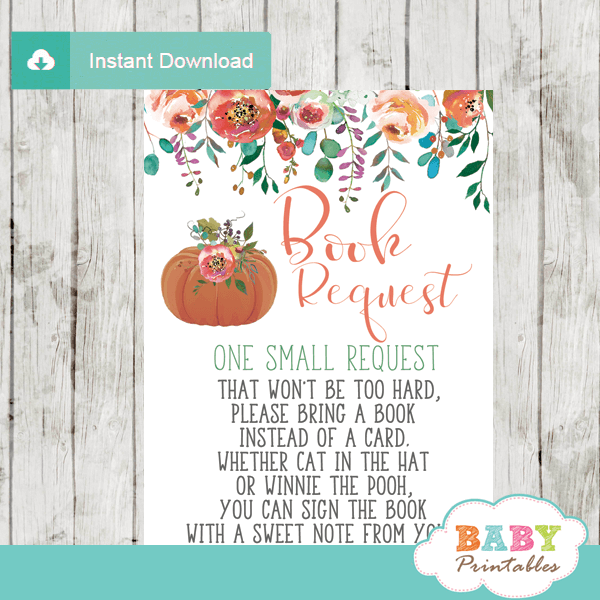 The Autumn themed Invitation Inserts feature a beautiful fall pumpkin arrangement of flowers, branches, leaves and berries in shades of orange, brown and yellow colors against a black backdrop. 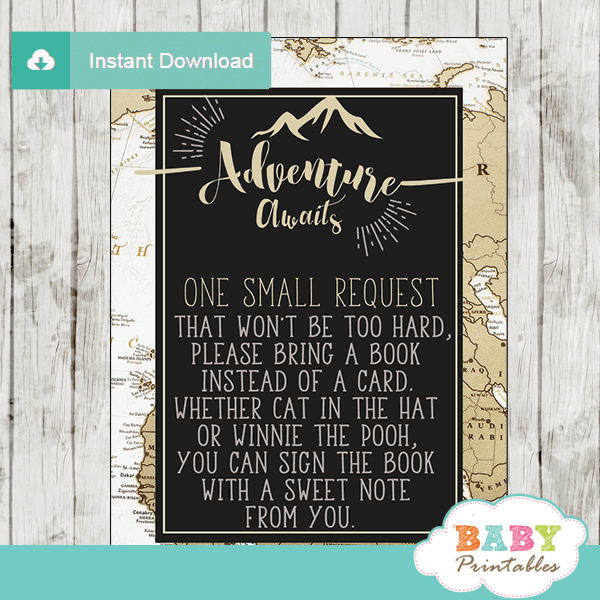 ★ Click here to view matching fall baby shower decorations.